Russian businessman Viktor Bout has been brought before a US judge for the first time, just one day after being extradited from Thailand. He will go on trial on four charges, including supporting terrorists. “Accused armed dealer Viktor Bout begins to face American justice,” said Preet Bharara, US Attorney for Southern District of New York. 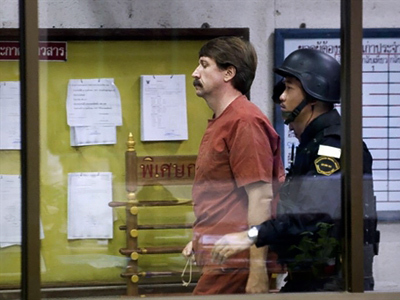 Viktor Bout came into US custody on Tuesday. 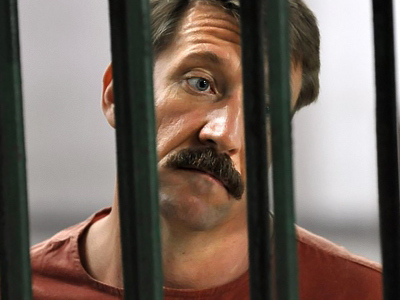 In the courtroom, Viktor Bout, dubbed the “Merchant of Death” in the United States, pleaded not guilty to all allegations. In the course of a brief news conference on Wednesday, US prosecutors detailed the charges brought against the Russian citizen. 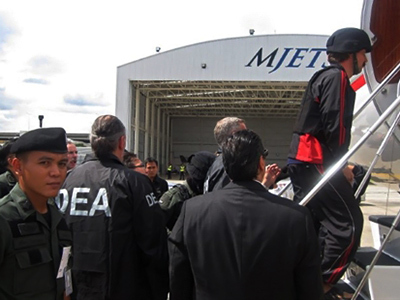 Meantime, the US, too, stands accused of breaking laws to grab the Russian businessman – organizing a swift extradition from Thailand involving some 50 federal agents and US marshals and keeping the operation a secret from Bout’s lawyer, family, and Russian officials. Moscow has called the extradition of their citizen a “striking injustice”. Bout, a former army officer, was arrested in Bangkok in March 2008, in a sting operation involving American law enforcement officials. His wife Alla Bout, who even did not get a chance to say goodbye to her husband in Thailand, accuses the US of kidnapping him as a political pawn. “This operation was illegal. It was done after lobbying from the US. Viktor was shipped to the US as if he were just a thing, without documents and without Russian Embassy being informed,” Alla Bout said. Viktor Mizin of the Moscow University of International Relations, says there were there no serious grounds for Viktor Bout’s extradition to the United States. Viktor Bout is being held in solitary confinement at a federal prison in Lower Manhattan, with legal assistance from the Russian Consul. Two Russian diplomats who visited Bout at the Metropolitan Correctional Center in New York on Wednesday say he has expressed a desire to seek additional assistance from outside counsel. Bout has also reportedly asked for assistance in relocating his wife Alla Bout to New York; she has spent the last two years along with Bout in Bangkok. Andrey Yushmanov, the Russian Consul General in New York who visited Bout, said Bout claimed that US officials attempted to force a confession from him during a flight to New York. While some American media outlets call Bout “a super-informant” and speculate about dozens of secrets he must know, Kremlin officials say he has the level of support from Moscow that any Russian would have had in such circumstances. A top Kremlin official stressed that Moscow is demanding fair treatment for its citizen, while not getting involved in the allegations that Bout faces. Washington has promised Bout a “fair and transparent” trial. 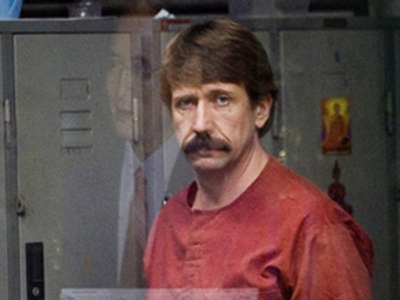 Nevertheless, the chances of a fair trial for Viktor Bout are already in question, with the US media and the prosecution portraying him as a villain. “I understand that there was a significant amount of political pressure put by the US on the Thai government – but I assure you that will be nothing compared to the pressure that the US is going to put on Mr. Bout,” said Douglas McNabb, a lawyer and expert on US international extraditions.